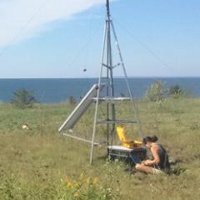 Individuals, researchers, or organizations can setup and maintain a station to contribute to the Motus network whether or not they choose to deploy tags on wildlife. As a collaborative automated radio telemetry network, Motus is strengthened by support and collaboration across the hemisphere from individuals or groups that are willing to commit time and resources to maintaining their own receiver infrastructure. If you are interested in setting up and hosting a Motus receiver station, the guide below can provide you with important information to get you started. Full details on data sharing policies and registration fees can be found in the Motus Collaboration Policy, further details on project initiation and technical information on station setup can be found in the resources section.